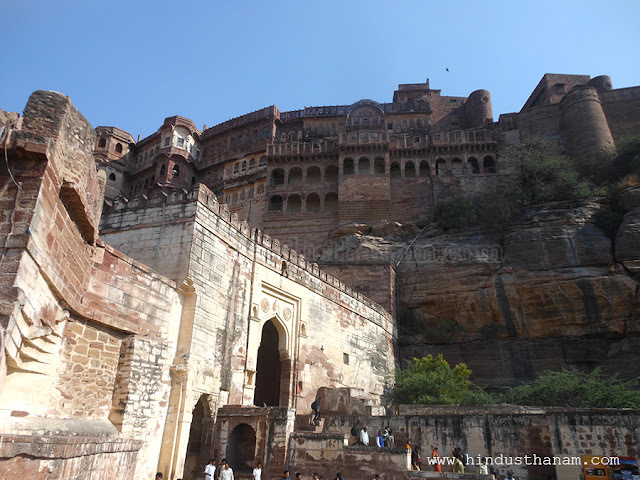 Mehrangarh Fort is situated in Jodhpur (Rajasthan). 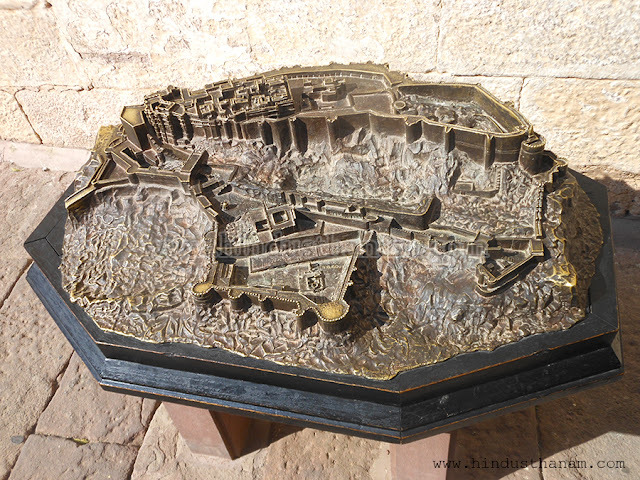 The fort is one of the largest forts in India. 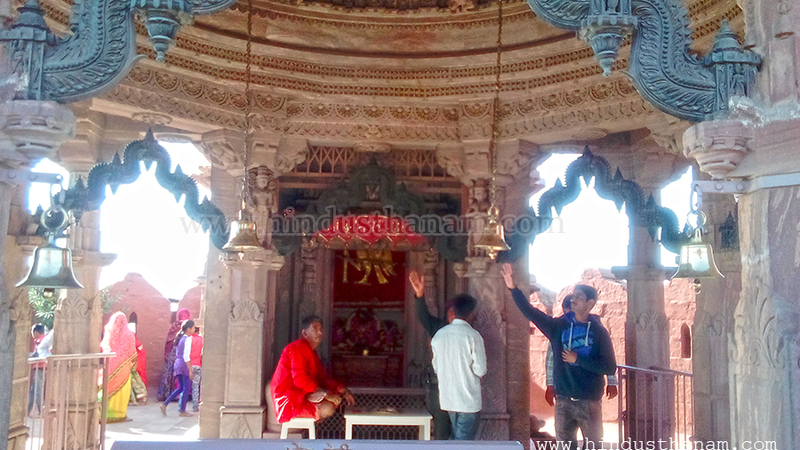 According to “Kundali” it’s name is “Chintamani” but it is famous as “Mihirgarh”.’Mihir’ means ‘The Sun’. Over time, it began to be called the Mehrangarh. 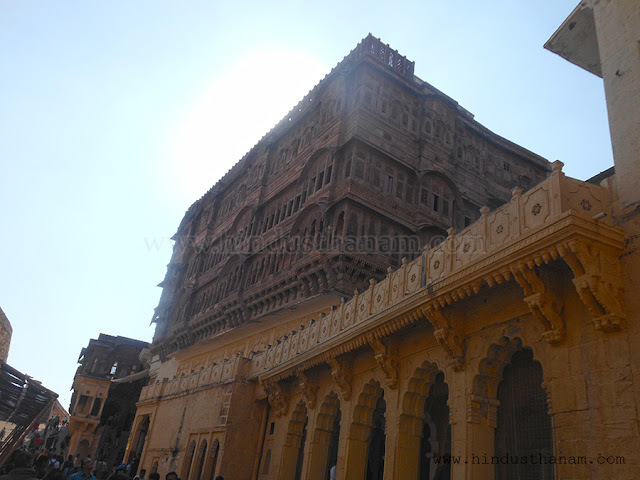 The fort was started to build since 13 may 1459 by Rao Jodha, the founder of Jodhpur. He wished to build it on the hilltop of ‘Masuria hill’ but there was a shortage of water, so he decided to build it on ‘Panchetia hill’. There was a waterfall. A Yogi named ‘Chiriyanath’ used to live here. He was told that he has to remove his hut from the place because the king wants to make a fort here. He refused, but the king began to build his fort on the same place. The angry yogi broke his hut himself and left the place. He cursed the king that, “you would never get the water, due to which i have to leave this place”. 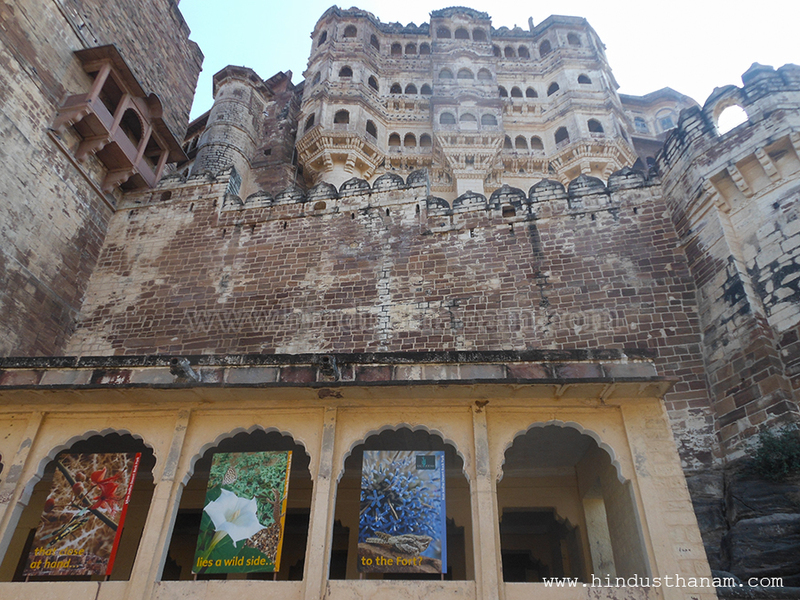 It is said that there has always been a shortage of water in Jodhpur state. 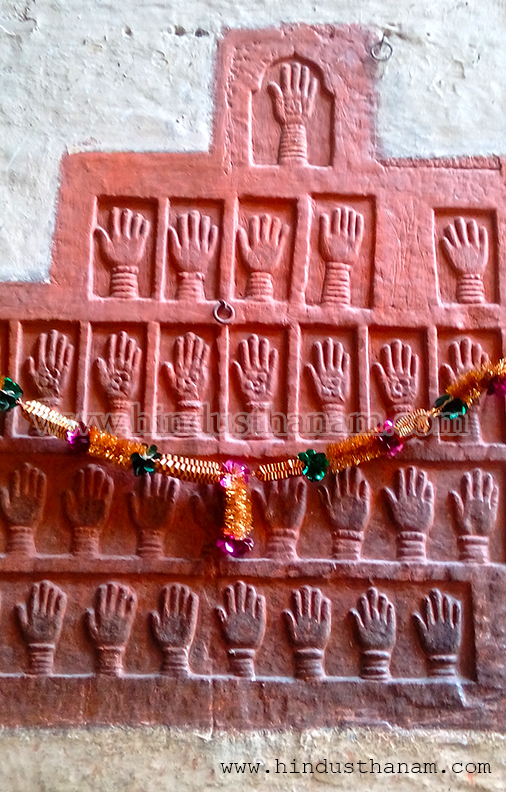 Rao Jodha was advised by a Tantrik that ‘if an alive man be buried in the foundation, the fort will always be with the maker and his descendants. The king made proclamation across the state that whoever is ready to be buried his family will be given royal patronage and immense wealth. A ‘Balai’ (a low caste in hinduism in ‘Shudra’ category) man was ready to be buried. 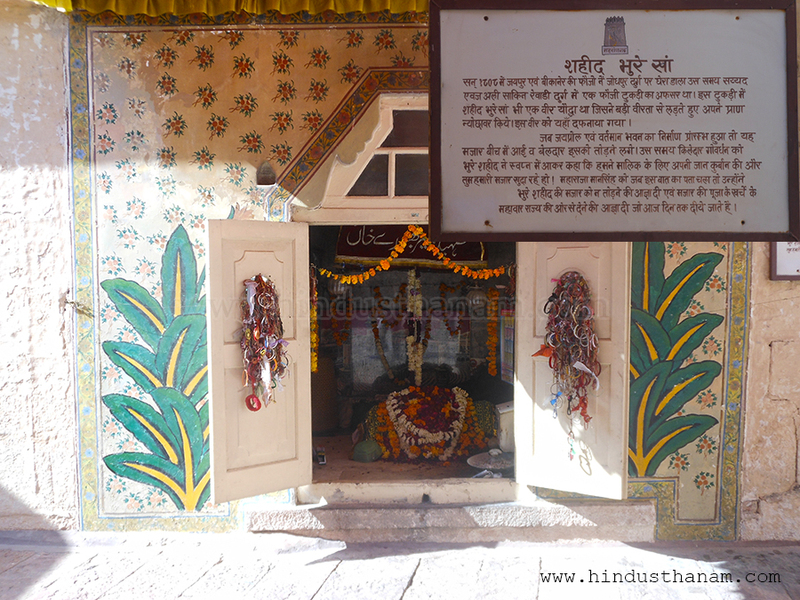 He was buried alive and his family was given a tract of land which was known as ‘Rajbagh’ later. Surrounding the fort, fortification wall is 12-17 feet wide and 20-150 feet high. Fort’s maximum width is 750 feet and length is 1500 feet. 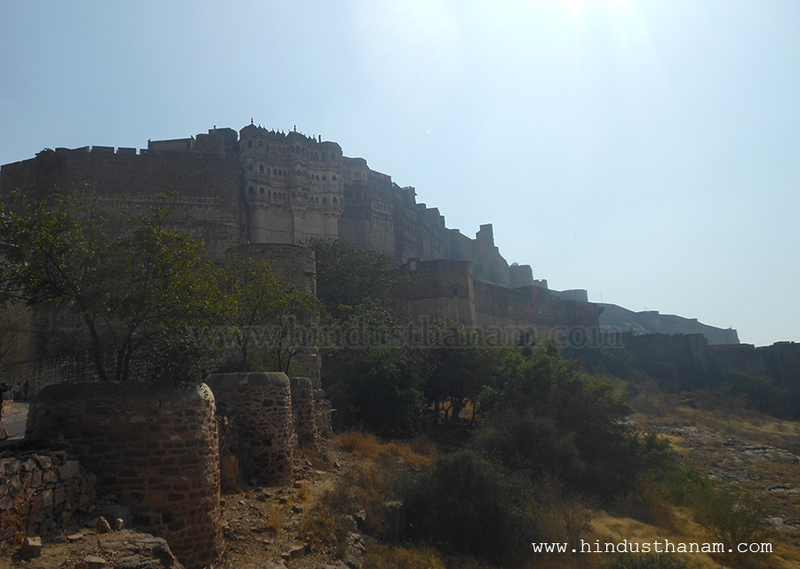 The huge fort situated on about 400 feet high hill, is visible from several kilometers away. 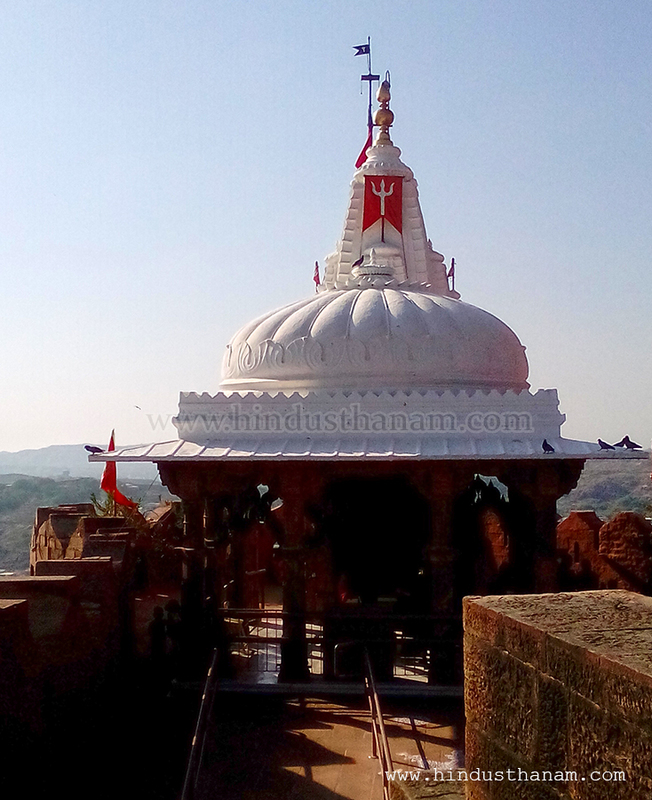 After the rain, due to clear sky, the fort can be seen from 100 kilometers away situated Jalore fort. There are palaces, gates, temples, artillery, library, memorials, arsenal etc. 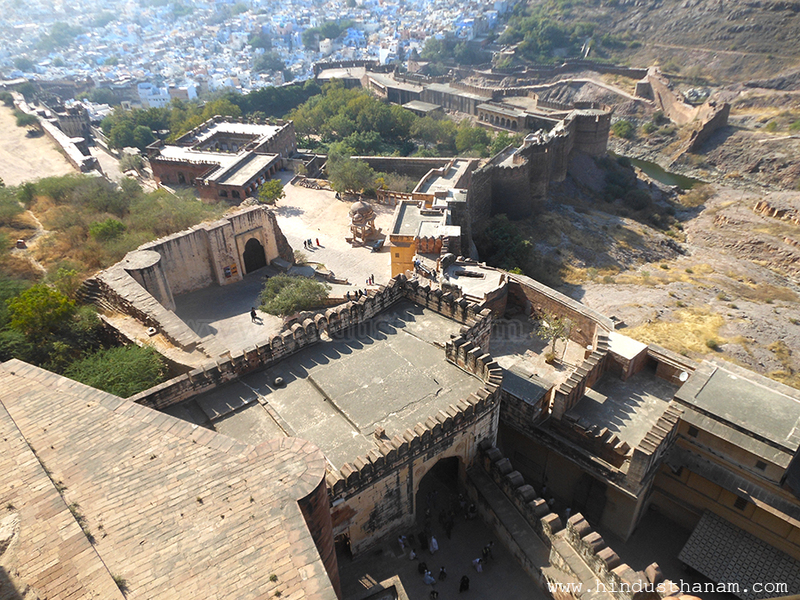 within the huge ramparts of the fort. 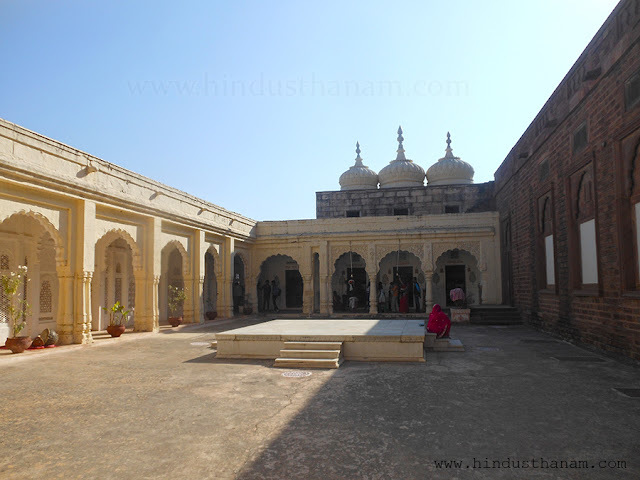 In the period of Rao Jodha, area the fortification was spread was called ‘Jodhaji Ka Falsa’. 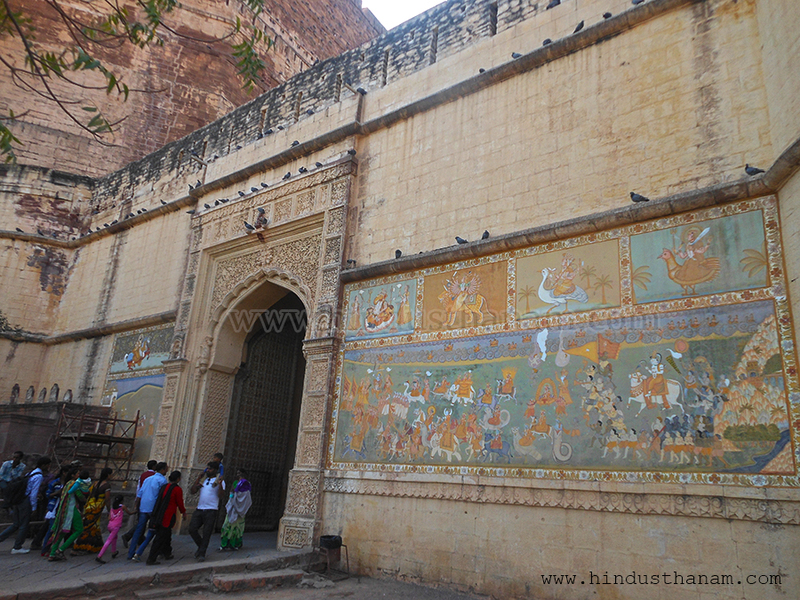 Lohapol :- The pol (Gate) was started to build in the time of Rao Maldev in 1548 and was completed in the time of Maharaja Vijaysingh in 1752. 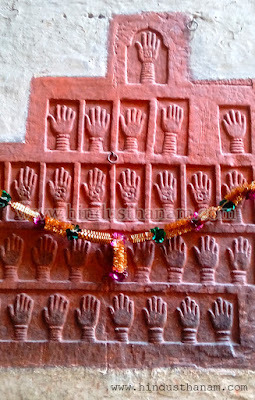 There are ‘Sati’ hands inscribed on the gate. Jaipol :- Built by Raja Mansingh in the memory of the victory over army of Jaipur. 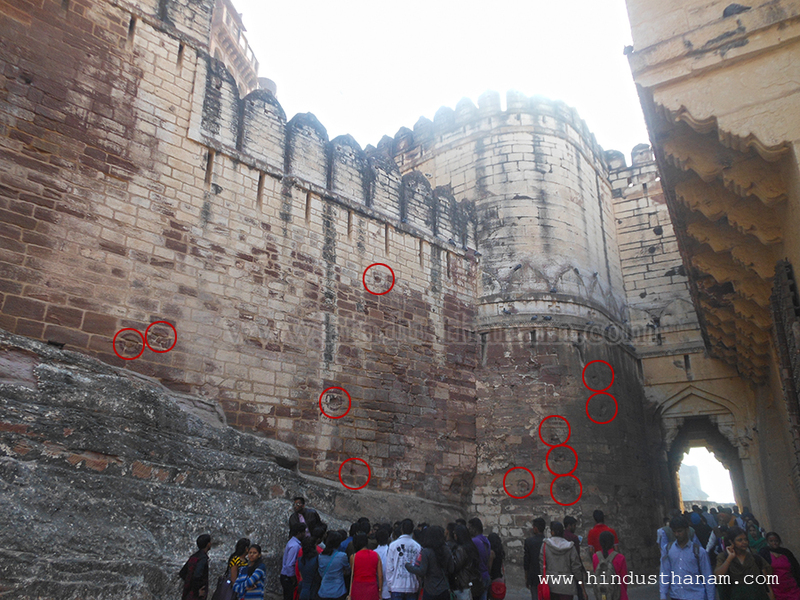 The marks of cannonball attacks by armies of Jaipur can still be seen on the second gate of the fort. 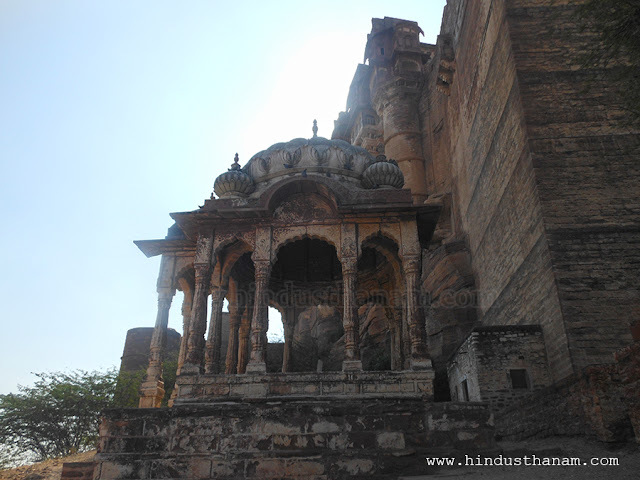 Fatehpol :- Built by Maharaja Ajit Singh commemmorate recapture of Marwar from Mughals in 1707. Palaces :- Phool Mahal, Moti Mahal, Takhat Vilas, Khabka Mahal, Chokelao, Rang Mahal, Bichla Mahal, Janana Mahal, Daulat Khana etc. are worth visiting. 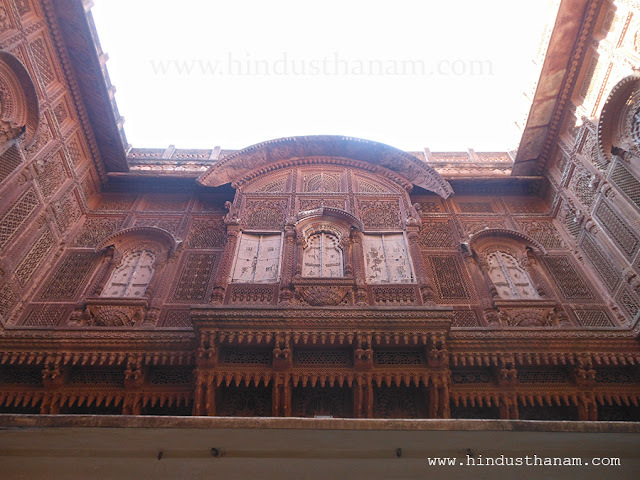 Moti Mahal was built in the period of Sursingh. 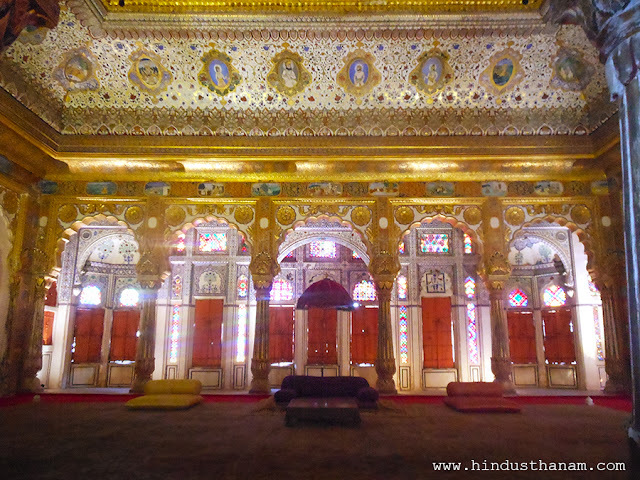 Takhtsingh got gold casing on the walls and roof after about 250 years. 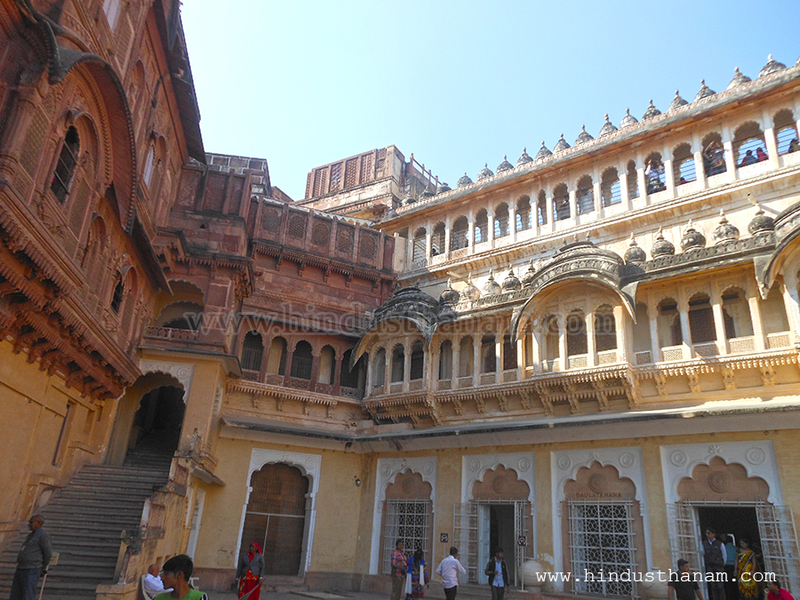 Phool Mahal was built by Abhay Singh in 1724. 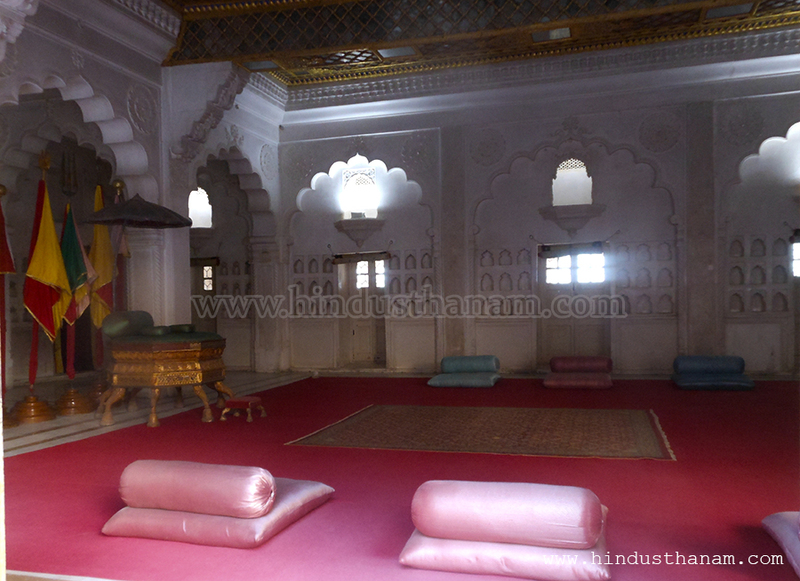 Fateh Mahal was built in 1708 by Ajit Singh. 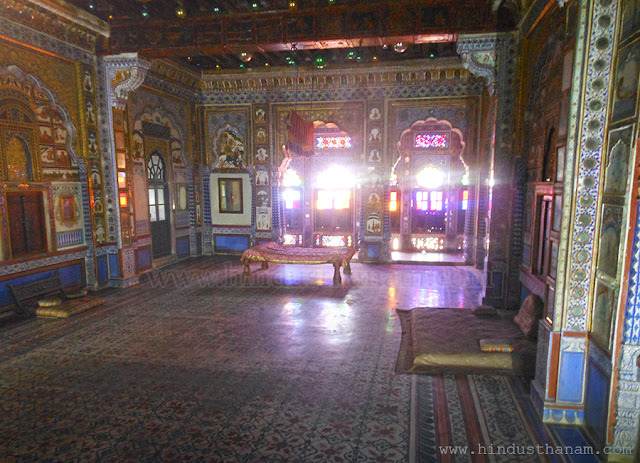 Khabka Mahal’s real name is Khwab-Gah. The Temples of Chamunda Mata, Murli Manohar and Anand Ghan are the center of people’s faith. Thousands of devotees come here everyday for their ‘Darshan’ (views).